What’s up ONNIT nation! It’s Jump Rope Dudes back again to take you through another 4 week jump rope workout fat loss challenge. Before we get to the challenge let’s talk about why jumping rope deserves a slot in your training regimen. Now you may be wondering why jump rope? An adjustable-length speed rope with lightweight aluminum alloy handles and a heavy-duty 3mm cord. 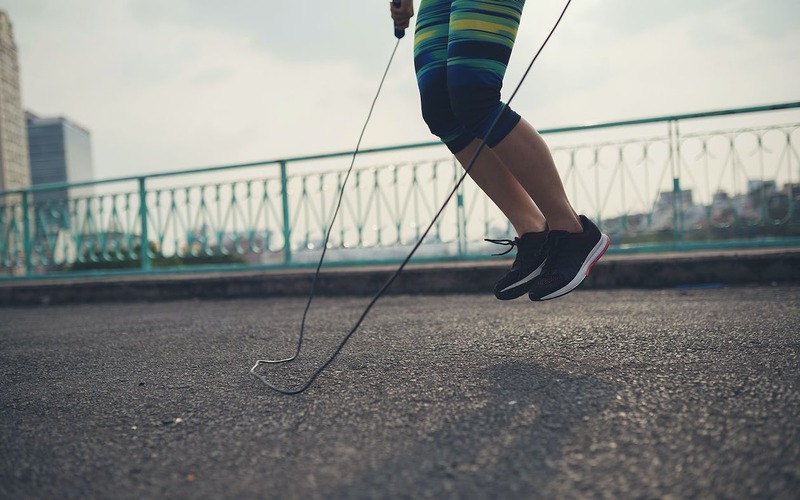 You could be doing a million different types of functional exercise, so why throw jump rope in the mix? The number one resource we are all trying to get more of – TIME – is directly linked to your workouts. With a 30 minute jump rope HIIT workout you can expect to burn somewhere around 800 additional calories throughout the course of a day. 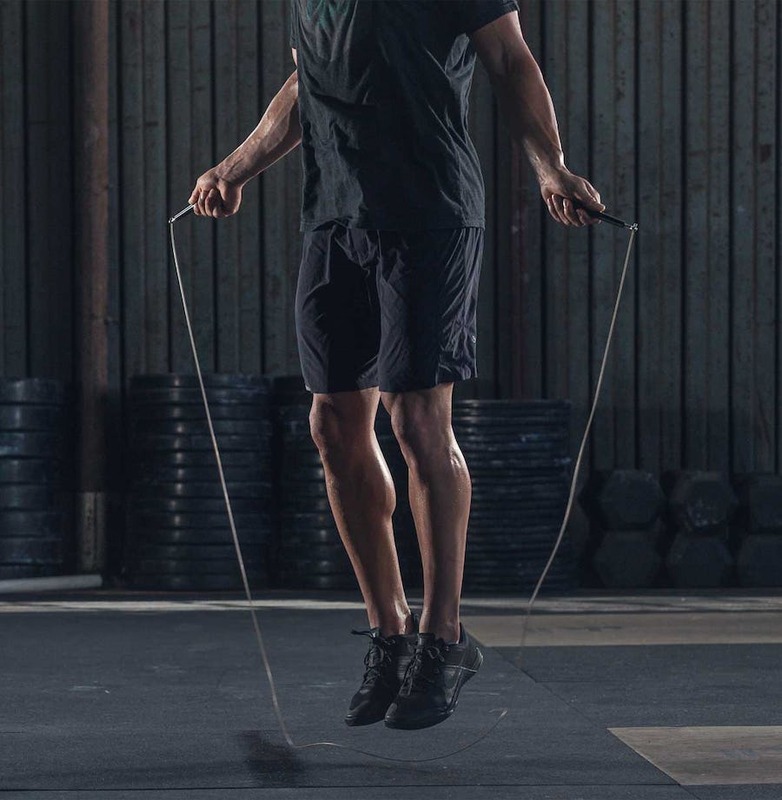 An average 15-minute HIIT jump rope workout will have you burning somewhere around 250 calories, but because of something called EPOC (excess post-exercise oxygen consumption), you will continue to burn calories long after your workout has been completed. So, your actual total calories burned from that skipping rope workout is more like 400 calories. Double that 15 minutes up to a 30 minute workout and boom! 800 calories. That’s the equivalent amount of calories to a massive double bacon cheeseburger, or 15 oreos, or 16 donut holes, or… you get where we’re going with this. Do a jump rope workout and you can do a little binge eating. Anyhow, it’s true that jump rope is also a sport, but in our case we are treating it more like a tool. An incredibly efficient fat burning tool. In addition to being an incredibly efficient tool here are a list of the benefits you can expect to experience when starting to implement jump rope exercises into your fitness program. Efficient – Not going to beat a dead horse here, but to reiterate the point made above – the better you get at skipping rope – the more calories you burn in less time. Total body – Jumping rope activates every part of your body from head to toe. From your shoulders down to your calves you will experience the burn…we promise. Low risk of injury – Compared to most forms of exercise jumping rope is extremely safe. You are hopping an inch or two off the ground at most if your form is correct, so the risk of injury is relatively low. 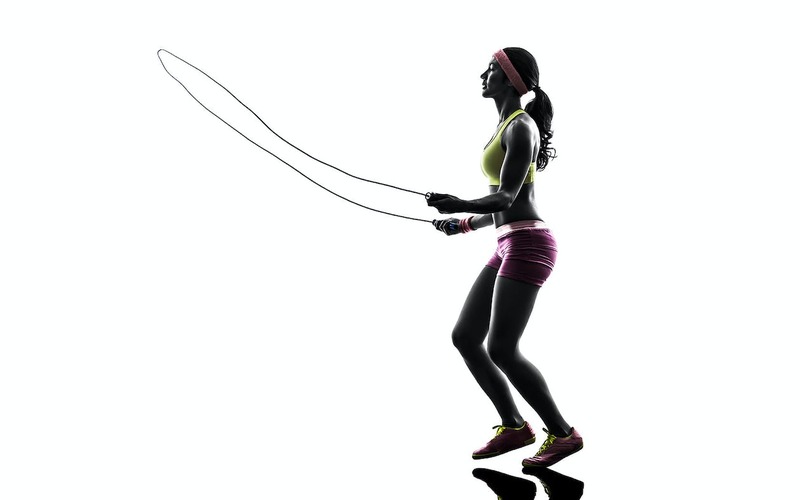 Fun – The beauty of the jump rope is that you can always learn new tricks and improve your skillset. There is no plateauing unless you choose to do so. This always keeps your workouts interesting and engaging. It’s like we always say at Jump Rope Dudes – if it’s not fun, it’s not sustainable. Cool – Let’s face it. Those dudes who can whip a jump rope around like a ninja straight up look cool. The more you practice – the better you get – the cooler you feel. Easy to get started – All you need to get started is a jump rope and the 4 week challenge we posted for you at the end of this article! Improved agility – If you are an athlete looking to improve your agility and footwork then jump rope is perfect for you. There is a reason why the best fighters in the world include jump rope exercises in their training regimen. Improve endurance – Beyond the fat burning effects discussed above, you can expect to experience a significant improvement in your endurance as well. All without leaving the driveway or parking lot outside your home. Durability – The beauty of skipping rope is the freedom that comes along with it. You don’t want to be caged into working out inside, so make sure you pick up an all surface rope that is durable for both indoor and outdoor use. Specifically we would recommend either a steel or PVC cable rope. For the handles you’re going to want a ball bearing system to extend the life of the rope as well. Sized correctly – Make sure you are picking up a rope that is sized correctly for you. If you stand on the rope with one foot and bring both handles up towards your body, the bottom of the handle should be just below your armpit. Another good rule of thumb is that the rope should be 3 feet taller than however tall you are. The agility rope will definitely burn a ton of calories as well, so if you are looking for agility plus fat loss that’s a safe option as well. Alright, so you know why you should be jumping rope, you know all about the benefits and you know how to pick a rope. The next step is picking up a rope and beginning to add jumping to your current regimen. To get you started in a big way over the next 4 weeks we are giving you some of our most entertaining and effective workouts to try out. You only have 3 of these HIIT jump rope workouts a week, so you can throw these on strictly cardio days or stack them on your normal routine. Day 1 is linked up below. Get after it! What about day 4, 5, 6 and 7? There are 3 workout days per week if you’re a beginner or intermediate. The days in between are rest days to allow your body to recuperate. With 3 exercise days and 1 or 2 days in between to recuperate, that accounts for 7 days for each week. If you’re in excellent shape already and don’t want to incorporate rest days, simply repeat the workouts two days in a row, and take one rest day. You would be subjecting your body to overtraining if you allowed for no rest days. You may want to go to their youtube channel and watch their video about avoiding overtraining which results in being fatigued, inability to recuperate, and muscle breakdown. You will make faster gains in strength and endurance if you allow your body to recuperate through the use of rest days than to attempt to workout everyday when your body has not recuperated, healed, and been allowed to grow stronger.